Join us for a pre-event dining experience. Open at 2 hours before every New Jersey Devils home game and certain select concerts all dishes are hand crafted by our executive chef just for you. Make your reservation Today! Welcome to The Rock Bar & Grill at Prudential Center. Located on Suite Level 1, our dining room features grazing and action stations offering a wide range of New American fare such as charcuterie, salad, pasta, risotto, carving stations and much more. The not-to-be-missed farm-to-fan dining experience serves up fan favorites including mini sliders, hot dogs, French fries and more. 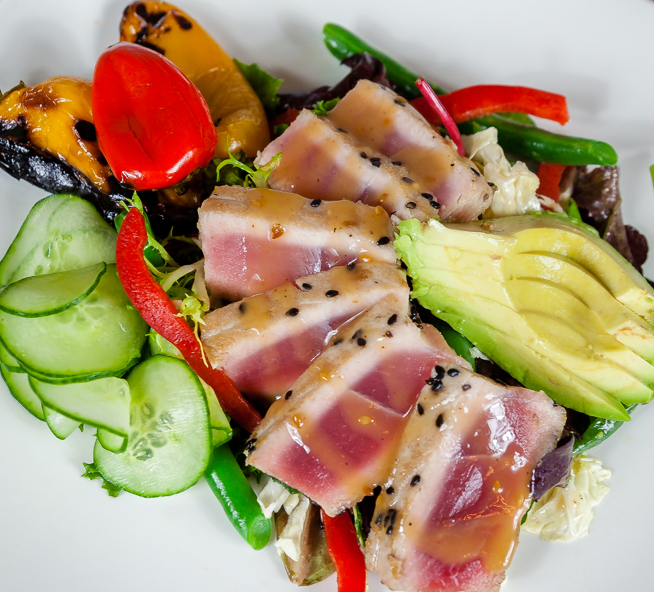 Our menu changes seasonally to serve the freshest ingredients possible. Use our Brew finder to find your favorite beer when you're at the Rock. With over 70 different beers including many from local Jersey Breweries this could be you're new go-to beer garden.